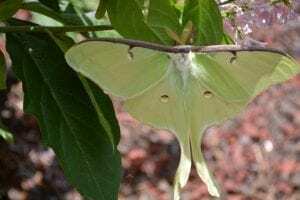 Hindwings have long curving tails. 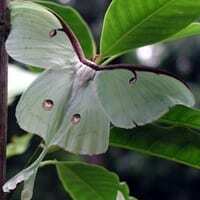 Wings are pale green, each with a transparent eyespot. Outer margins are pink in the southern spring brood, yellow in the southern summer brood and in northern populations.